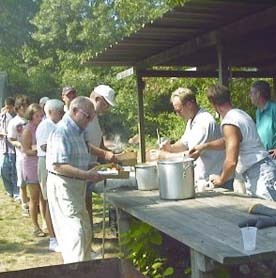 The Function Grounds at West Barnstable Deer Club has hosted thousands of gatherings ranging from Weddings, Family Reunions, Birthdays, Company Outings, Holiday Functions to almost any occasion you can think of. Please consider us for your next event. You are welcome to use your preferred caterer, or we can reccommend one for you. Our professional kitchen is also available for a nominal fee. We do not double-book functions. On the day of your function, yours will be the only event at our facility.